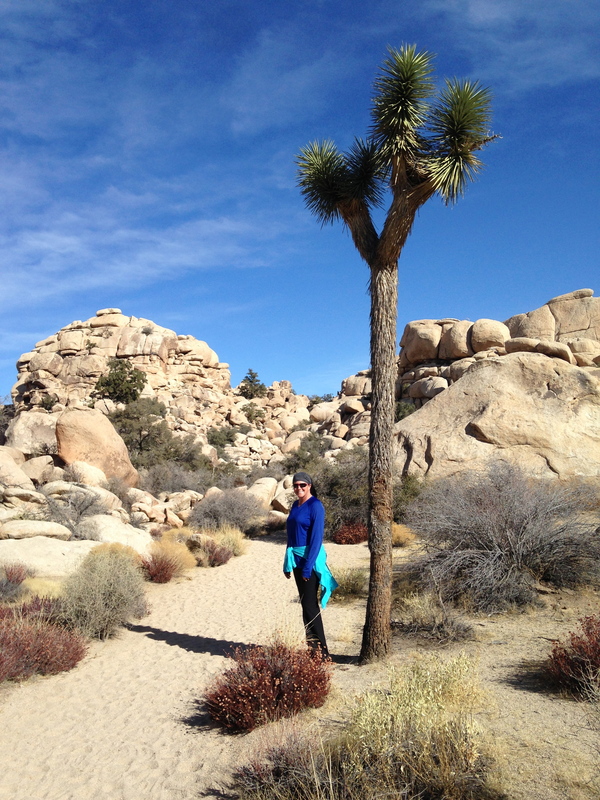 Did you know Joshua Tree is a National Park? It was declared so in 1994, and we’ve never been until now. A mere three hours away…what have we been doing all these years? Oh yeah, driving back and forth to Mammoth. There are 59 National Parks. 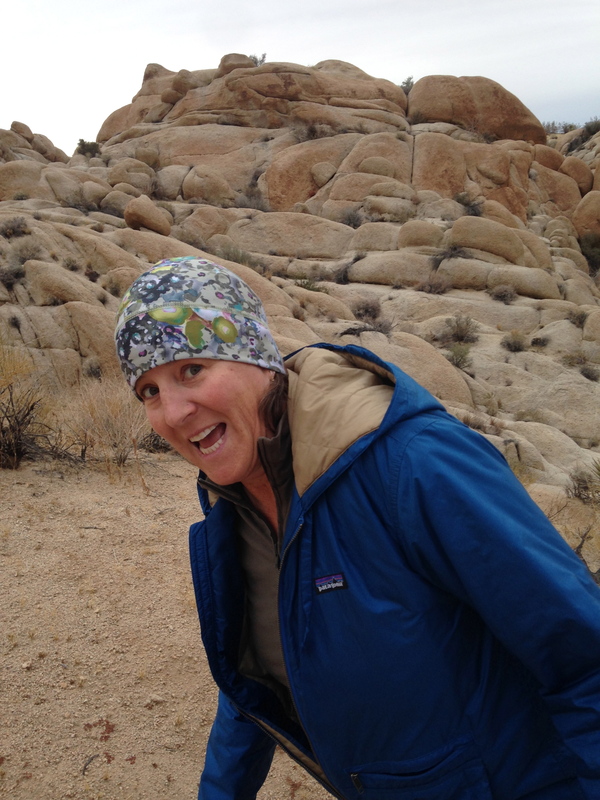 California has the most of any state with nine: Channel Islands, Death Valley, Joshua Tree, Lassen Volcanic, Pinnacles, Redwood, Sequoia, Kings Canyon, and Yosemite. The National Parks truly are a treasure. Do yourself a favor and visit at least one in 2016. 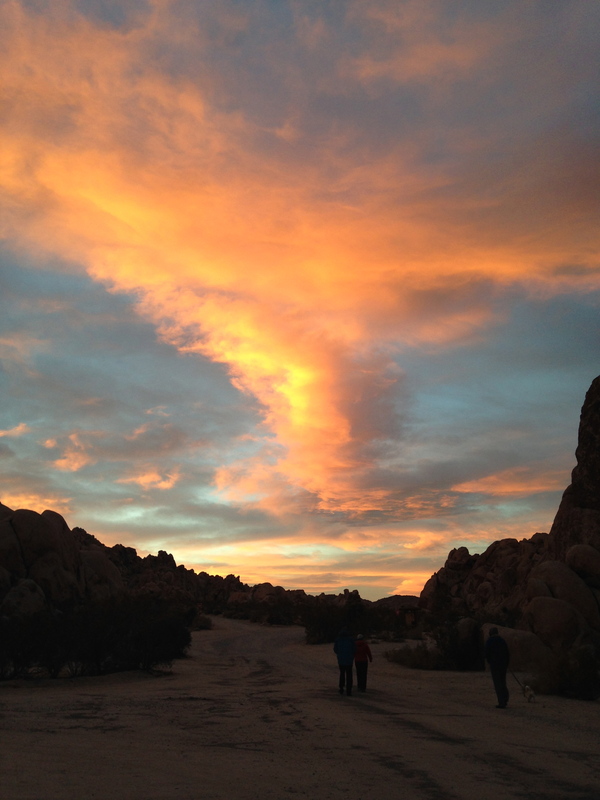 Joshua Tree is a strange mystical place where the Mohave and Colorado Deserts converge. 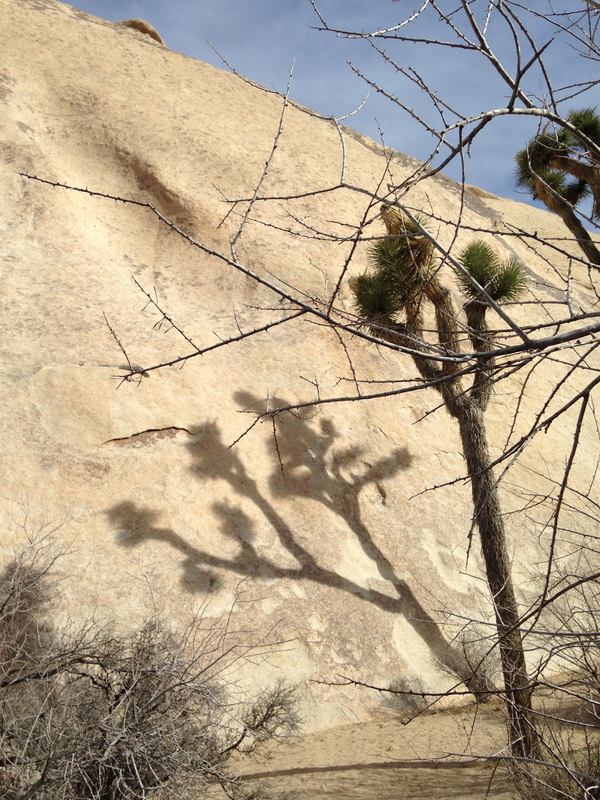 And the infamous San Andreas Fault skirts the park. 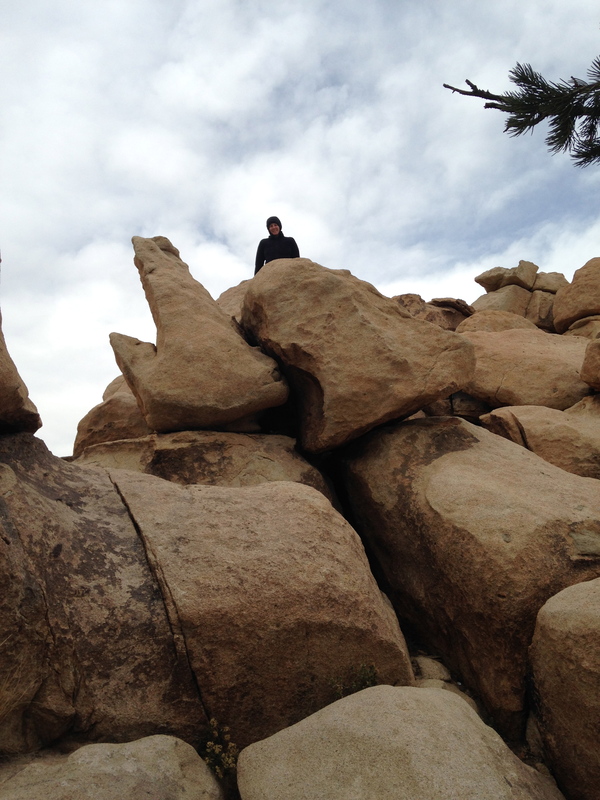 It’s a mecca for rock climbers. The Harris’ don’t exactly have that sinewy, lean body type so we’ve never partaken in the sport. 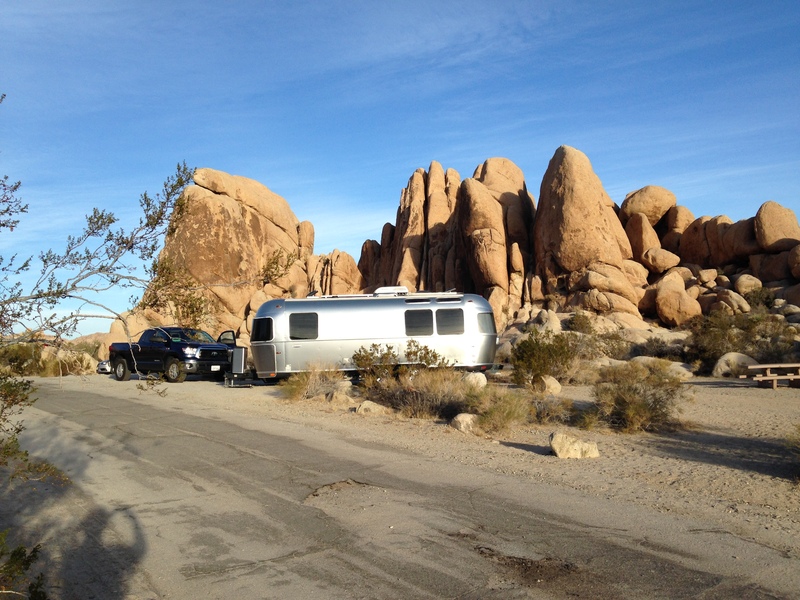 Those in the know, know that the town of Joshua Tree is where Graham Parsons died on 9/19/73. He was the originator of Cosmic American Music. Like so many of that era, he over did it on drugs and alcohol. The crazy thing is, his manager kept his promise, and stole his casket and body, drove out to what is now Joshua Tree National Park and lit it on fire. 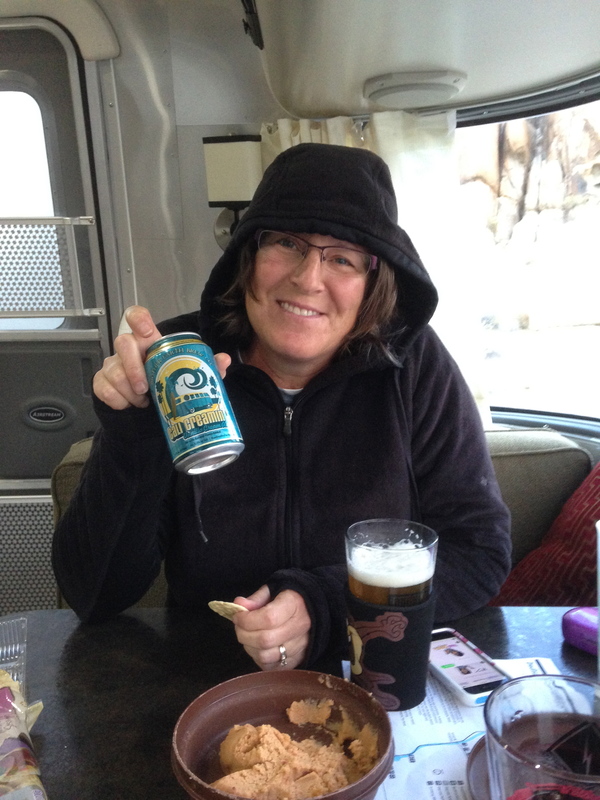 Just like the solar panel on our Airstream, I struggle this time of the year with the short days. But we’ve made it past the winter solstice. 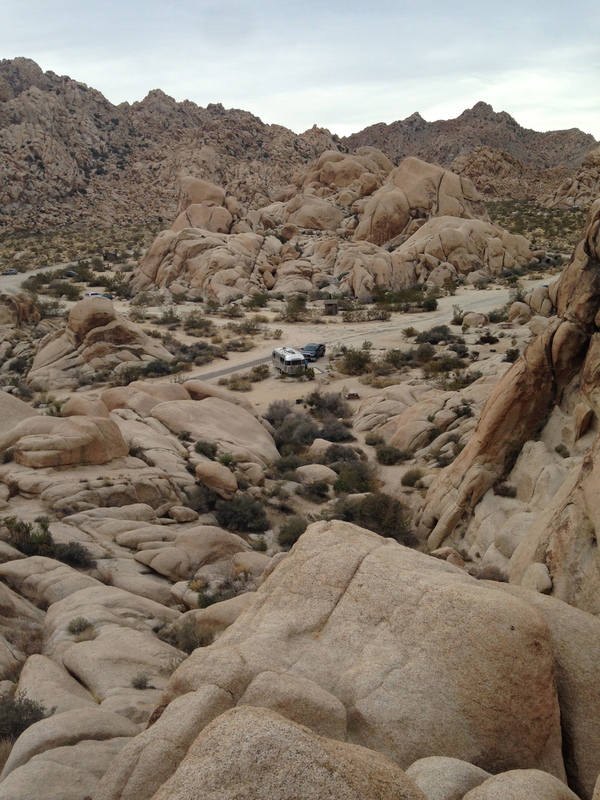 It’s a very scenic campground. 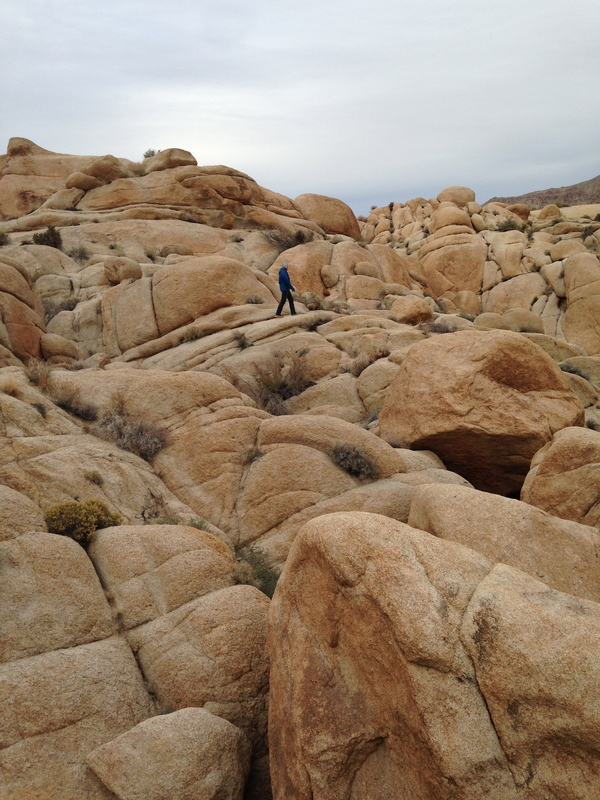 Like most places in SoCal, we heard it’s pretty crowded on the weekends. Lucky us, it was practically empty. 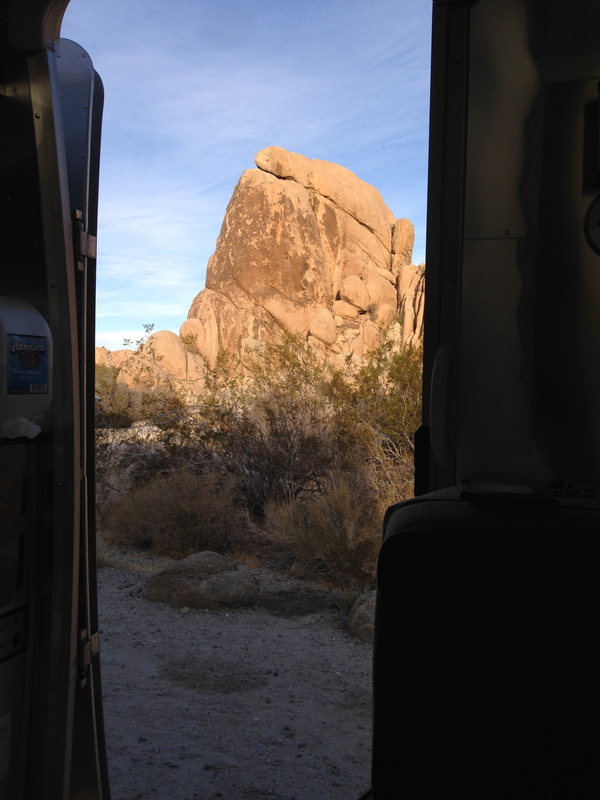 Don’t you love an incredible view out of your front door? They say there’s a lot of weirdos out here. This is the only one I encountered! 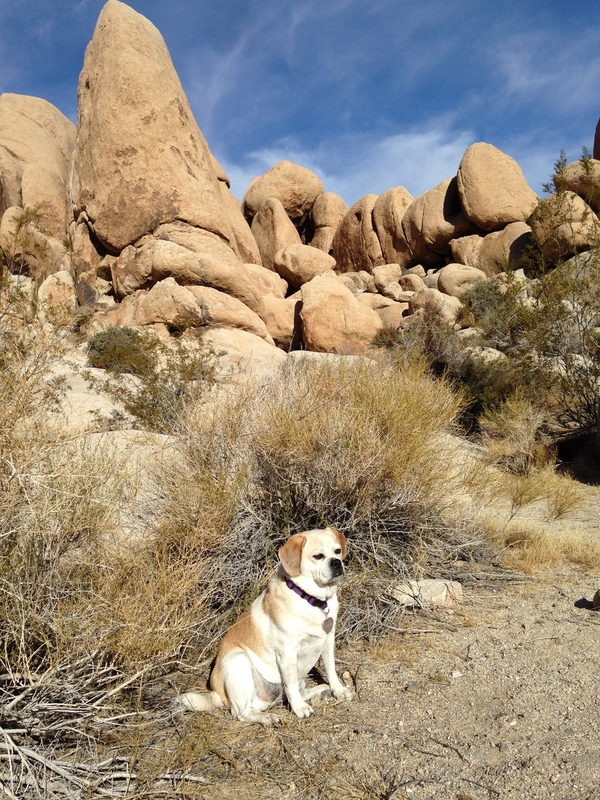 The Queen of Joshua Tree basking in the morning sun. 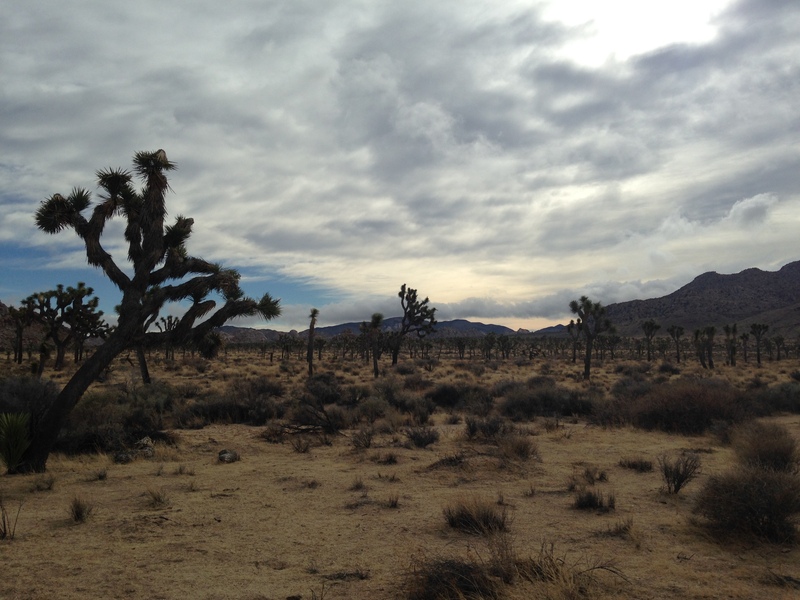 Joshua Trees are very slow growing, on average, only an inch a year. So do the math, this one must be close to 300 years old. As it seems to be the norm nowadays, the weather ran the gamut. 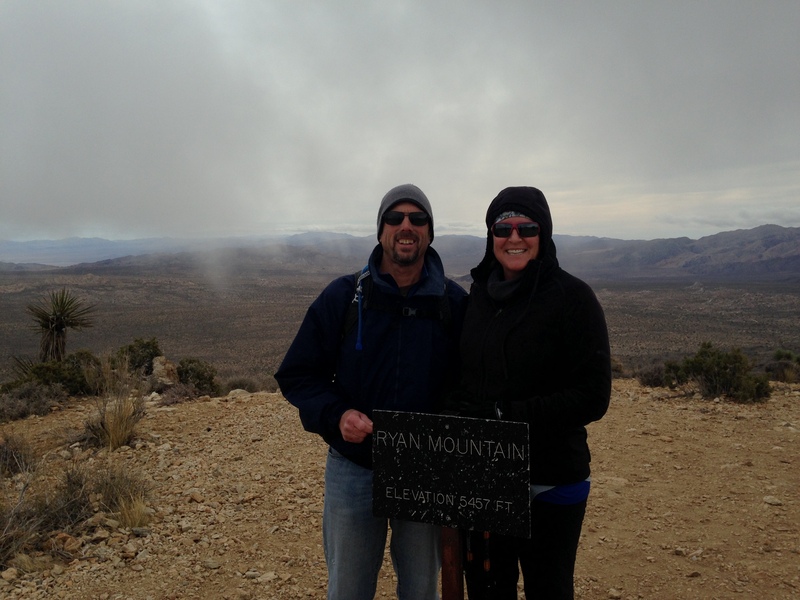 On the day we hiked to the summit of Ryan Mountain it was 30-40 mph winds, cold, and cloudy. 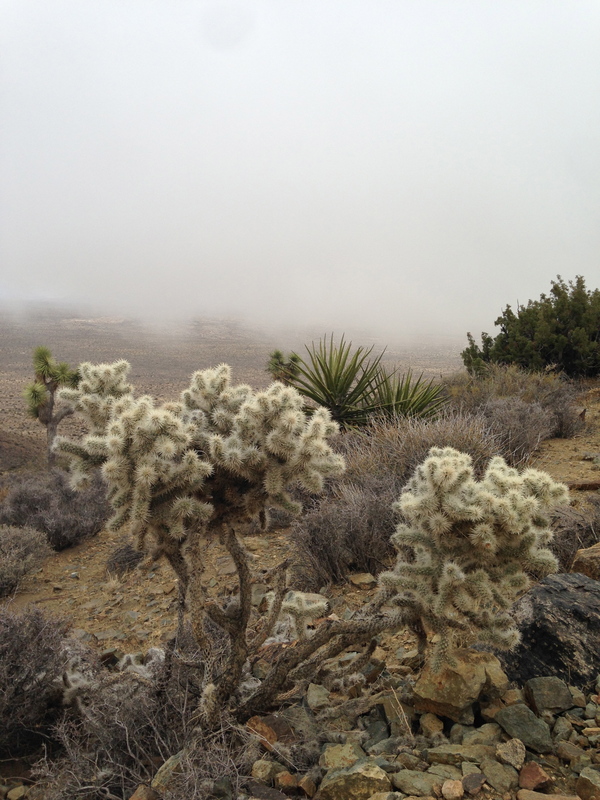 Cholla near the summit of Ryan Mountain.